New York University's 23-year expansion plan includes 6-million-square-feet of new space in Greenwich Village. New York University officials have expressed interest in expanding to the World Trade Center’s planned Tower 5 -- the site of the former Deutsche Bank building -- as part of the university’s 23-year growth plan. “Lower Manhattan, and particularly ‘Tower 5’, have been identified by both Manhattan Community Board #1 and a Community Task Force led by the Borough President as an area that might offer mutually beneficial opportunities for growth,” wrote Lynn Brown, NYU’s senior vice president, to the Lower Manhattan Development Corporation in a letter dated June 11, 2010. In the university’s expansion plan, half of its growth would take place close to the school’s main campus, and the other half would be in several remote sites. As part of the larger plan, school administrators are moving the NYU nursing program to its health corridor on First Avenue, planning to establish its engineering program in downtown Brooklyn (close to its partner Polytechnic University) and looking to have a program on Governors Island. Some of the school’s neighbors had hoped that instead of building a 40-story tower in Greenwich Village, the school would occupy Tower 5. However, NYU spokesman John Beckman stated that the school is going ahead with its plans for the Greenwich Village building, and it is seeking out several remote sites, too. 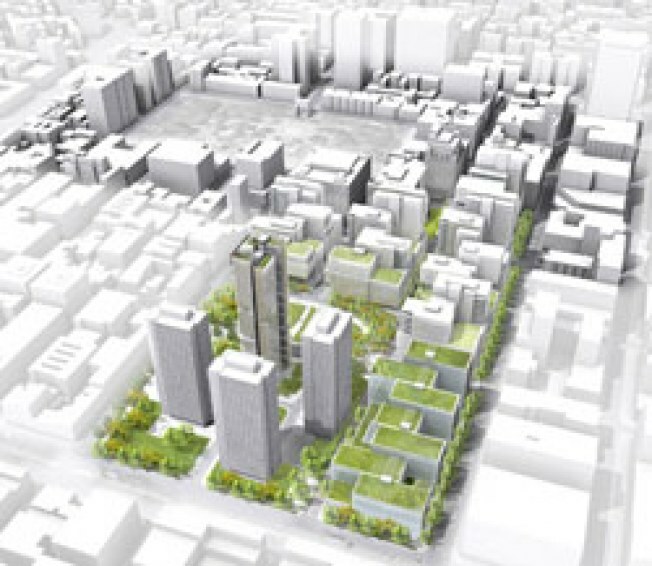 “Any development in Lower Manhattan would not be in place of the tower we have proposed to build on our own property on the Silver Towers site, because while some of our academic space needs can be met outside the neighborhood, some of them must be met in or near our core area,” said Beckman. NYU leaders have yet to meet with developers to discuss all the possible expansion options downtown. School officials have also indicated that they would look at other available properties in the area, aside from Tower 5, that could meet their needs. After meeting with the Port Authority and Lower Manhattan Development Corporation, school officials will be able to assess what type of facilities they will be able to construct downtown. “We already have a presence in lower Manhattan with our School of Continuing and Professional Studies leasing several floors in the Woolworth Building; and we have had other past uses in downtown as well,” Brown noted in the letter.